Samsung’s flagship Galaxy S8 and Galaxy S8+ were officially unveiled last week and will be announced available in Canada on April 21st. However, several Canadian carriers are stating those who pre-order will be graced with early delivery. 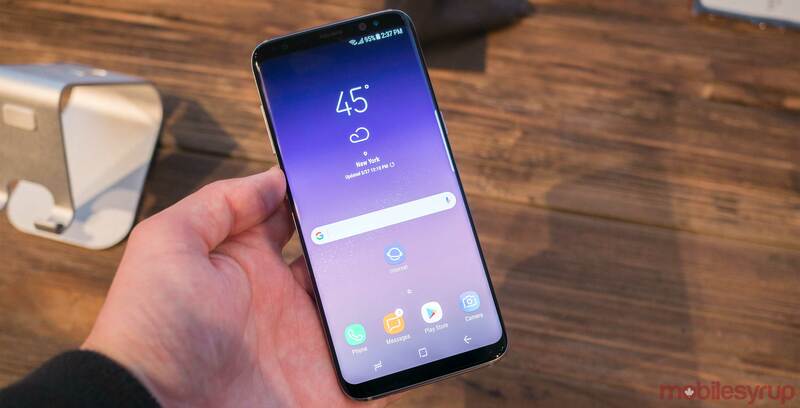 Rogers, Telus, and Quebec-based Vidéotron all noted to customers who secured their order ahead of time will receive the 5.8-inch Galaxy S8 or the 6.2-inch Galaxy S8+ on Monday, April 17th. We have been informed that Bell will also be offering customers the same timing. Canadian carrier pricing for the Galaxy S8 starts at $249.99 on a 2-year contract with the Galaxy S8+ starting at $319.99 on a 2-year contract.